Just in time for holiday gifting! 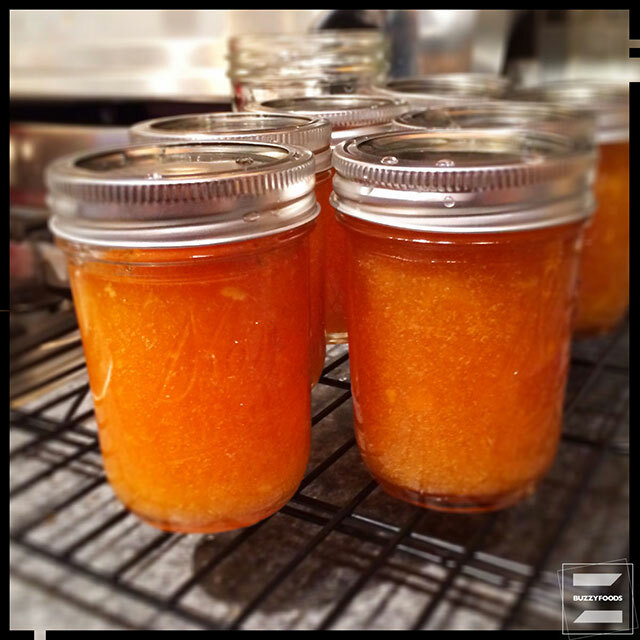 Peach butter is dead simple to make – only three ingredients, and one of them (the brandy) is optional – but wicked tasty. A bit of this on a toasted Bays English muffin is a very good thing. 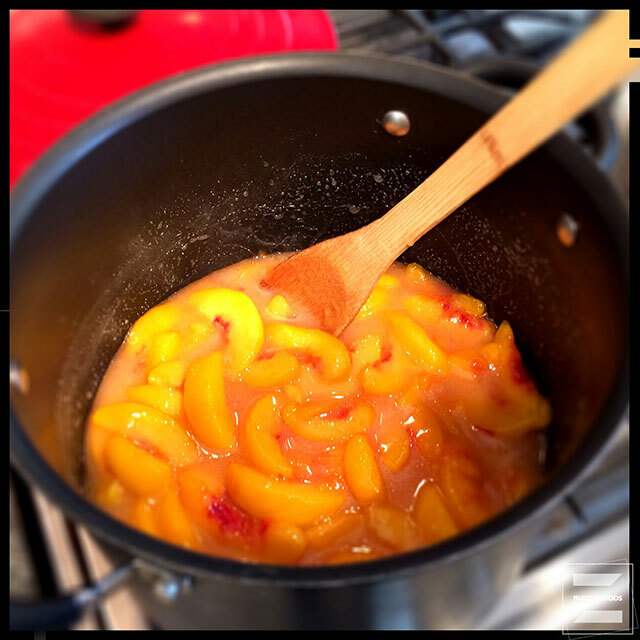 And, you don’t have to try to find, peel and slice fresh peaches – my market carries organic, sliced frozen peaches, and one bag just happens to make one batch o’ butter – approximately seven half-pints. *Or, try six cups peach slices and 2 cups mango. Tasty! Slice or dice the peaches and add them to a pot with the sugar and the brandy over low heat. A note on the brandy: you do not have to add it, but I think it helps to balance the sweetness of the peaches. You might could use bourbon, too. 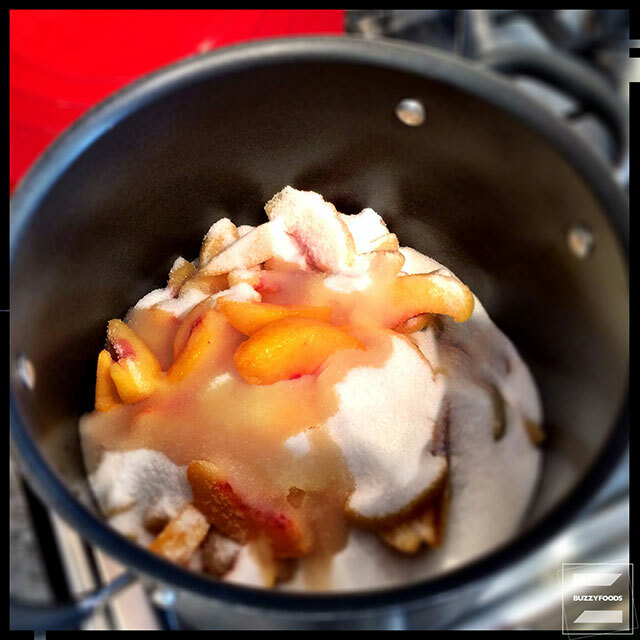 Stir until the sugar has melted and the peaches are very soft. 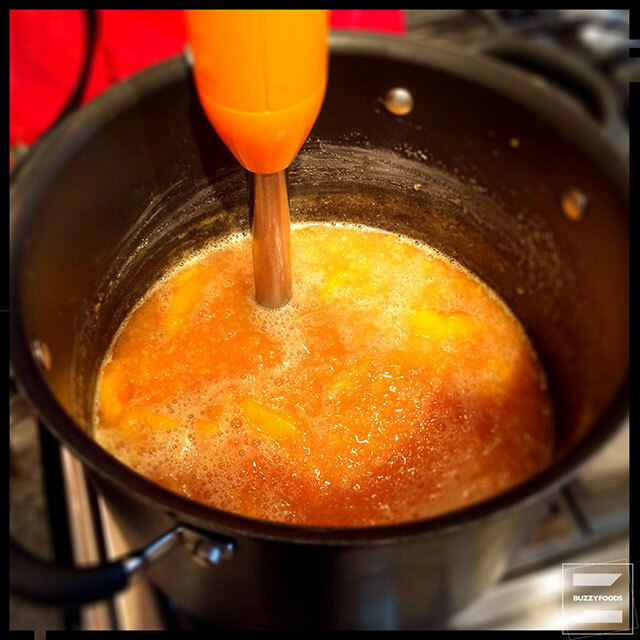 At this point, you could transfer the mixture to a blender or food processor in stages to puree, or take out your trusty potato masher to well and truly smooosh the peaches, but an immersion blender is so much simpler. Give it a good whizzzz until the butter is mostly smooth, then continue to cook, stirring often, until the mixture is a deep golden color and thickened. Give it another whizzz with the immersion blender, then ladle into prepared canning jars, cover, and process in a boiling water bath for ten minutes. And quite well done, too. This entry was posted in Fruit, Parfait!, Sauces/Jellies/Condiments and tagged Brandy, Parfait!, Peach Butter, Peaches, Sugar. Bookmark the permalink.